The Wharf (Holdings) Limited recently announced that the group has raised its first Green Loan Facility (Green Loan) in the amount of HK$2 billion. The loan will be used to partially refinance Chengdu International Finance Square (Chengdu IFS), the group’s first IFS flagship project in China. Provided by The Hongkong and Shanghai Banking Corporation Limited, the Green Loan is raised in accordance with a Green Loan Memorandum initiated by Wharf and guided by the Green Loan Principles (GLP) issued by the Loan Market Association / Asia Pacific Loan Market Association / Loan Syndications / Trading Association in December 2018. Entire Green Loan proceeds are to be applied to finance or refinance the development of commercial buildings with the aim of achieving one or more Green Building Certifications among LEED – Gold or above, BEAM or BEAM Plus – Gold or above within 12 months of completion. 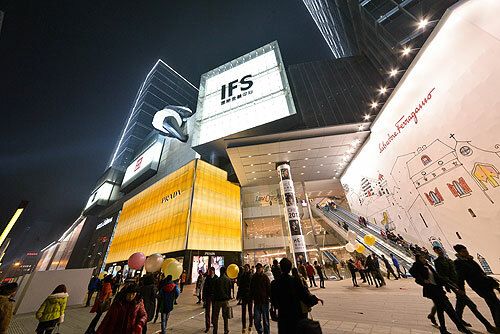 “Celebrating its 5th anniversary in January 2019, Chengdu IFS has brought a new lifestyle experience to Chengdu and made its mark in China West with many firsts. It is every responsible corporate citizen’s duty to contribute to a greener environment. We are pleased to see determined support from China and Hong Kong SAR governments in extending the green drive to the finance sector,” said Mr Stephen Ng, Chairman and Managing Director of The Wharf (Holdings) Limited. “We adopted eco-friendly design concept for Chengdu IFS which is highly commended by a number of accolades including Platinum rating under the LEED for Existing Buildings: Operations and Maintenance standard. We will spare no effort to further enhance Chengdu IFS’ leading position in business development and environmental aspect, setting a role model in Chengdu and China West,” Mr Ng added. Originally modeled on Harbour City in Hong Kong, Chengdu IFS was the first IFS project in the Mainland developed by Wharf five years ago. Along with a unique ‘City-within-a-City’ mixed-use design, the property comprises a mega shopping mall, premium-grade A office towers, serviced apartments and a luxury hotel, Niccolo Chengdu.